A few weeks ago I arose earlier than everyone else in hopes to steal some “alone time” reading my Bible. As I settled in on the couch with my hot cup of coffee and Bible, I heard the tap tap-tap of little feet making their way down the steps. For a moment my heart sank. So much for my alone time! But then I was instantly grateful for that sound, for those sweet feet of my youngest daughter, the child that God had formed and entrusted to my care. As you already know, being a mom is a selfless calling. In a very real sense, as moms, we not only have kids, but our kids have us. For all the joy that motherhood brings, the give and take can leave many moms feeling weary, overstretched, and empty. We have to be careful that we are receiving as well as giving. So how do you stay strong? How do you continue giving yourself to those precious little ones who need you? Where does the power come from to keep growing a healthy and God-honoring marriage in this busy season of life? The answer is not in getting away; the answer is abiding more deeply. As moms, we all have this calling to shepherd and shape our children but there is no formula for keeping your personal quiet time with the Lord a priority. Leaning in to the calling placed on our lives and grabbing those moments alone with God when you can is vital. Although I know the need for quiet time, now four children later, I can still struggle to grasp those moments alone with God. As my children grow, I can never out grow the time I need to abide in Christ. 1. Keep your Bible in a place where it is easy to grab and read. His Word guides us, feeds us, reminds us, and encourages us. Keep it close and open it often. 2. Pray without ceasing. The Apostle Paul writes in 1 Thessalonians 5:17 that we are to “pray continually.” Prayer is not a task I check off, but a constant communication I am blessed to have. While longer periods of prayer are great, I stay close to God by talking often with God. 3. Play worship music. I love music! One of the habits I have gotten into is having Christian music playing often in our home. Not only does God use music to strengthen my own soul, but music creates an atmosphere of praise in our home. When is the last time you went into a store or restaurant and there was no music? It sounds simple, but God can use music to be a great source of strength for you and your family throughout the day! 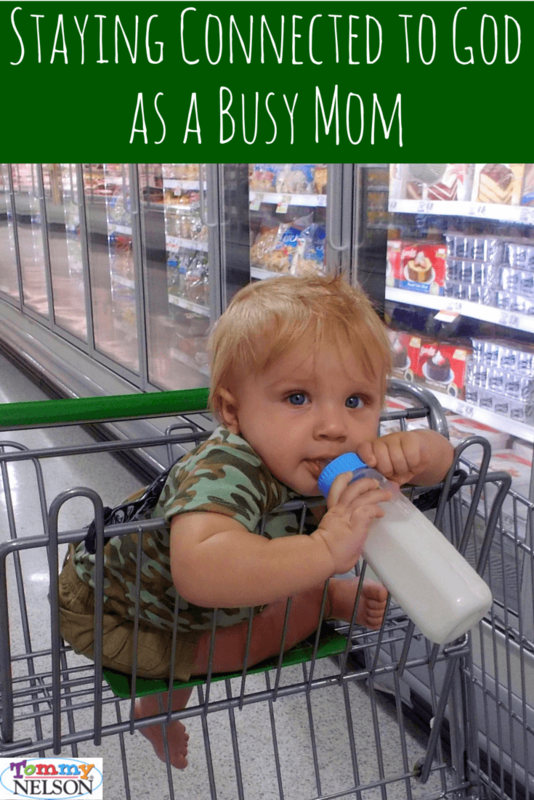 The task of being a mom is too big and overwhelming to do in our own strength. If we don’t fill up, we will quickly dry up. Be encouraged that God has promised to give us mercy and grace when we need it most (Hebrews 4:16). So lean into your calling, but don’t forget to abide deeply, with your Father. Ruth Schwenk: Like you, Ruth wears many hats! She loves being the wife of a pastor, who is her best friend and love of her life. She is a grateful homeschooling mom of four beautiful children, and also a hopeful mom who looks forward to seeing her five miscarried children in heaven. Ruth is a graduate of The Moody Bible Institute in Chicago, IL. 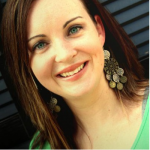 On August 1st, 2011, Ruth launched TheBetterMom.com, a site dedicated to moms who want to be better moms by sharing life and learning together, to the glory of God. In September 2013, her and her husband launched FortheFamily.org, dedicated to helping Christian families. Ruth’s passions include, loving God, leading worship, and inspiring others to have a God honoring family. This entry was posted in Blog and tagged Bible Study, Busyness, Encouragement, Moms by Ruth Schwenk. Bookmark the permalink.